Another fantastic regatta weekend has come to an end, once again on the ice outside the city of Västerås. Conditions were very tricky, the clear black ice was hit by 5 mm wet snow the day before the event (plus another 5 mm early sunday morning) and got remarkebly sticky. Undeniably thin T-runner conditions. 30+ DN and 4 Ice Optimist sailors from Sweden, Denmark, Germany and the Netherlands on the start line. Great to see quite a few new sailors and not the least juniors! On Saturday (R7) we managed to complete 5 races in light shifty winds on a 1,2 km course outside Björnön. Many sailors had a hard time sustaining good speed but some of the guys handled the conditions brilliantly. S-8 Fredrik Lönegren was the fastest and won by a small margin ahead of D-112 Thomas Ebler. G-107 Bernd Zeiger was third and S-839 Axel Steffner won the junior class. As mentioned earlier, on Sunday (R8) the ice was even stickier. It was quite a calm foggy morning and most sailors pushed their boats to the starting area some 3 km away from the launching site. But luckily the wind picked up and visibility improved just enough to start the racing. 5 races for the DNs and 4 races for the Ice Optimists were completed. In the DN S-8 Fredrik Lönegren was in a class of his own finishing well ahead in most races and taking the overall victory ahead of S-794 Oscar Wersäll and D-112 Tomas Ebler. The DN junior class was as tight as it can be, First and second place S-829 Wilhelm Alness and S-839 Axel Steffner became tied on points with the rules favoring Wilhelm to take the overall victory. S-45 Oskar Svensson won the Ice Optimist class ahead of S-46 Philip Lundblad. 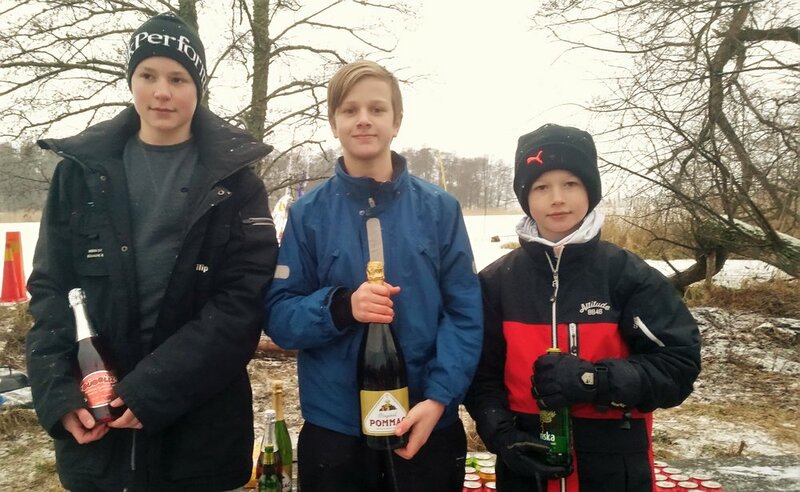 Congratulations to the winners and a big thanks to the organizers, Stockholms Isjaktklubb and the Uppsala fleet! Thank you all who came from near and far to participate in this event, hope to see you soon again!